Hello, Mags here ,today I am sharing a project I created for Sam’s most recent Hochanda show. I love using my Posca and Uniball Signo pens on Sam’s MDF. It is such a simple and quick way to create an elegant looking result. There is no need to prepare the MDF, the pens can be used directly onto the project. I began by gluing on the swirls using Cosmic Shimmer Glue. 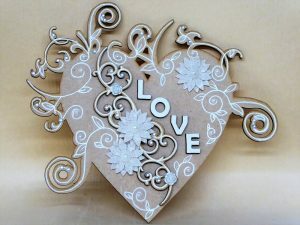 The heart has swirls and flourishes around the edges, I followed the design of these with my Posca pen and then used my imagination to create more across the heart. Once I was happy with the design I added some self adhesive pearls and flowers to create more of a focal point. To finish the project I added some of Sam’s small letters which were painted, again using my Posca pen. 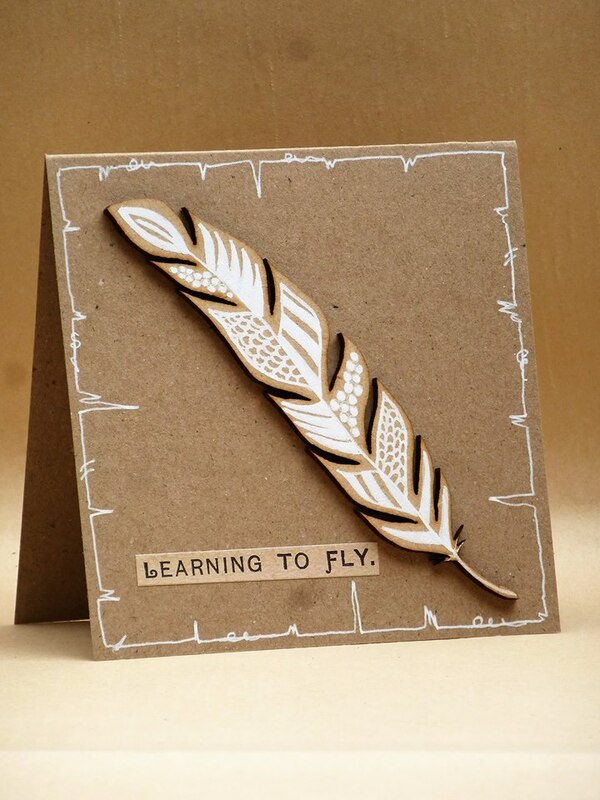 I also used this technique on some of Sam’s MDF feathers to create a quick and easy card. On that occasion I just doodled a design. I would love to see what you create using this technique so please share in the Facebook group mentioning this blog post and tagging me. ← Karen Clare’s Bottle rack – Tutorial & new storage!